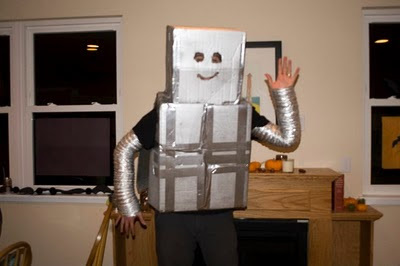 Here I am in the robot costume I made for this Halloween. Kelsey was Shaun the Sheep, but for some reason we failed to get a good picture of her. Gigi dressed as gigi. We had a pumpkin carving party last Saturday (see the pumpkins below :)). It had been a long time since I had so many sweets (sugar cookies and cupcakes!). 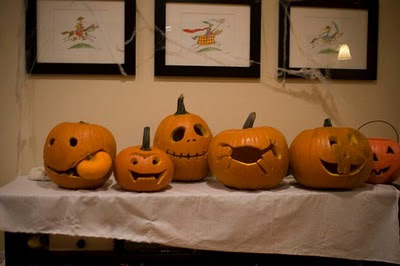 Ah, but now Halloween is gone. I'll redress my blog soon. Give it just a couple more days of Halloween monster madness . . .